The "necessary views" engine controls the views that appear on a drawing according to the filters that are activated in the "necessary views configuration". This engine can be activated or deactivated using the "Use the necessary views verifications" default, which is in Management Tools / Defaults / Drawing - General. If the default is deactivated (i.e., the value is set to 0), Advance Steel will stop checking if a view is needed or not on a drawing, and it will show all views which are configured in the associated drawing style. 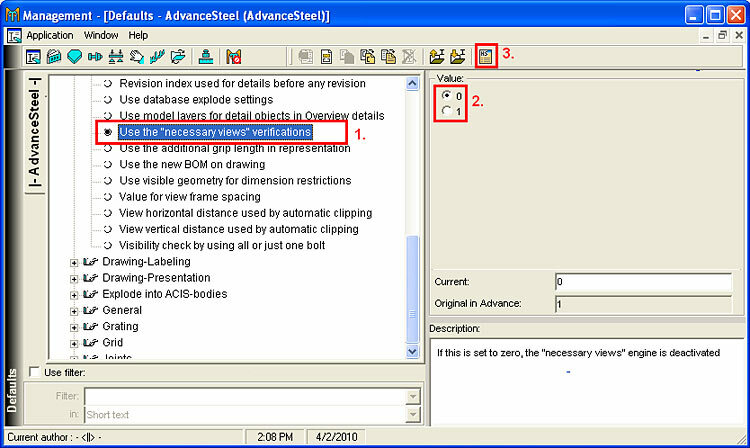 If the default value is set to 1, Advance Steel will use the default filter configuration. 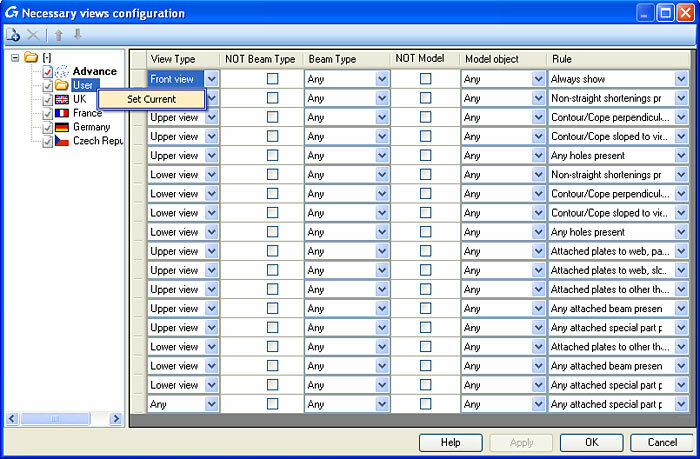 Other filter configurations can be created and saved using the "Necessary View Wizard" command which is accessed from the "Numbering, drawing" toolbar. 1. Launch "Necessary View Wizard" from the "Numbering, drawing" toolbar. 2. Right click on the "User" folder and set it to current. 3. Apply the filters you want in the view using the drop-down lists.